Looking for a high quality cash register stand at a budget price? Look no further! The Ledgetop Counter With Slatwall Front is made of high quality melamine laminate wood material. Customize the slatwall front display with various impulse products by adjoining slatwall accessories such as hooks, acrylic bins, shelves and more. 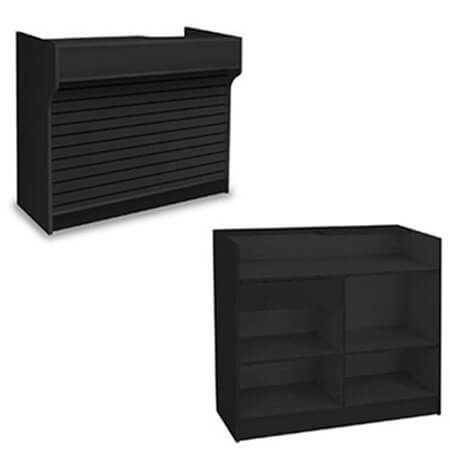 This cash wrap counter has a 22" deep recessed ledge to hold various types of cash registers with ease. 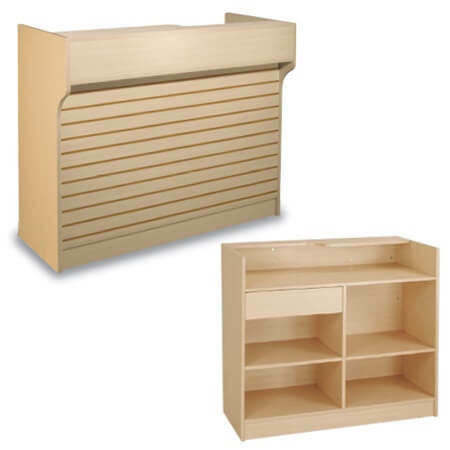 Inside your service counter a rear storage shelf and drawer are included for safe storage. 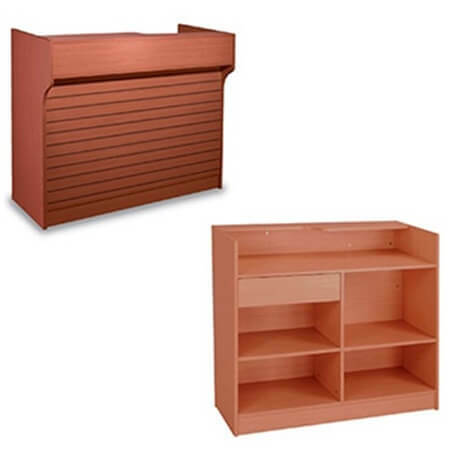 Setup a checkout area anywhere in your store with this single unit and incorporate a little flair by choosing from a color option for your service counter. Purchase yours today.